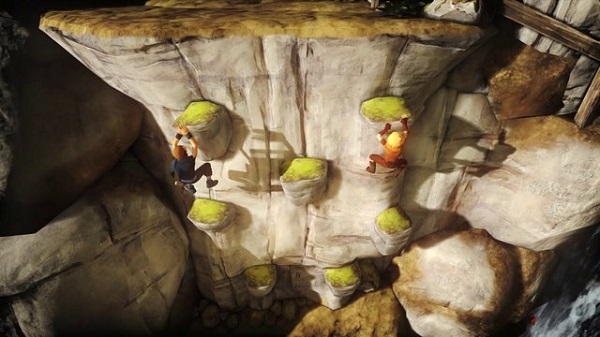 Brothers: A Tale of Two Sons appears to be a whimsical little puzzle platformer with a cute gimmick. You control two brothers simultaneously; each brother is controlled by a side of the controller (i.e. the little brother is allotted the right side and the big brother the left). Sounds cute, right? While Brothers most definitely is cute it is not in any way simplistic. 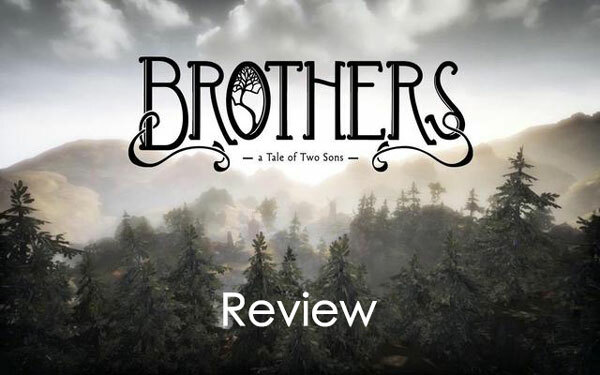 Brothers is something much more than a kid-friendly platforming adventure, something more than amusing or adorable, it’s a layered adventure that is at times poignant and heartbreaking that is executed with an unwavering sincerity. As I said earlier, you control the two brothers at once, dedicating an analog stick to each. (Side note: I played the PS3 version of Brothers. The controls are probably better on the dualshock than its xbox counterpart.) A novel idea that you likely imagine wears out its welcome within a few minutes of gameplay. Fortunately, the game maintains your interest by adding new amusing platforming challenges that effectively utilize the simultaneous use of two characters. Controlling the two brothers helps you understand the connection they share. The controls help foster an understanding for their familial bond, their individual strengths and weaknesses and, ultimately, their solidarity. The brothers are two separate entities that act as a group — just like your analog sticks. 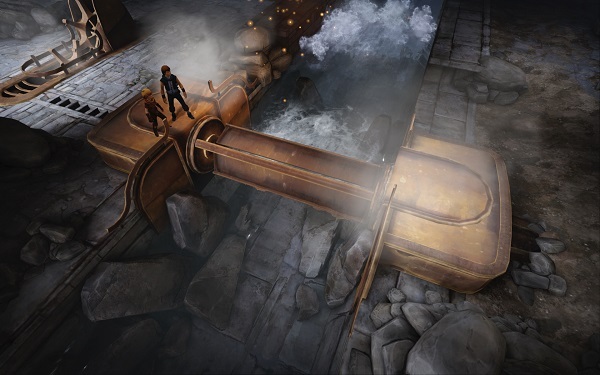 Brothers harnesses the power video games can potentially wield; the power to use interaction to underscore or supplement the narrative. Too often video games are simply segmented into blocks of gameplay and narrative with little or no real connection between the two. Brothers is a game that accomplishes this and thus becomes greater than the sum of its parts. 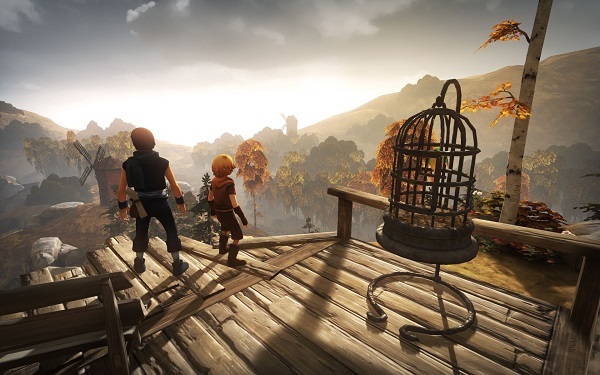 What did you think of Brothers: A Tale of Two Sons (no spoilers, please)? Tell me in the comments or tweet @gamebloggirl! Previous Post Gamers Prefer PS4 Controller?